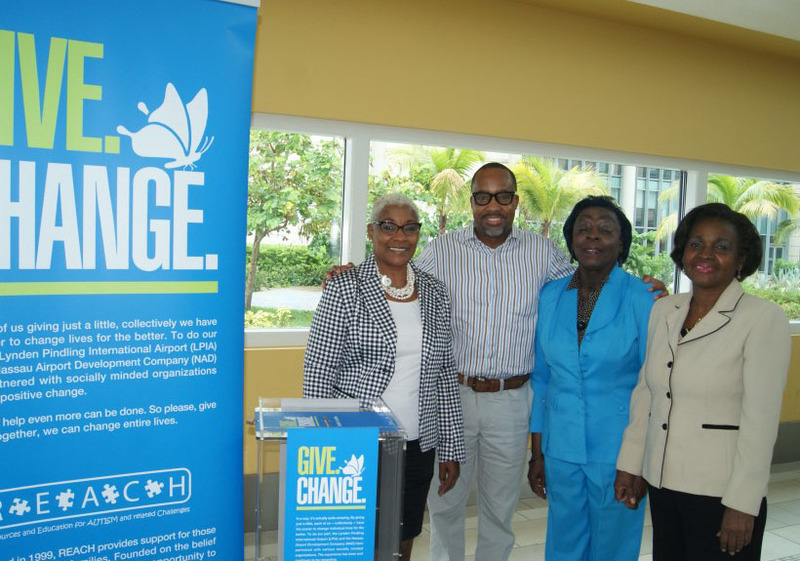 Two new charitable organizations are set to benefit from the Give. Change. program at Lynden Pindling International Airport’s (LPIA). The Persis Rodgers Home for the Aged and REACH, the resource and educational organization for persons afflicted with autism and other neurobiological disorders, are next in line to receive funds from the program. Back in February, see-through boxes branded with the slogan, Give. Change. were installed in the US Departures and Domestic/Int’l Departures terminals for travelers to deposit their loose change and paper notes.